Joy is one of the great benefits and blessings of the Kingdom of God within your life. Joy is the melody of heaven that is placed in your heart; joy is the Holy Spirit's symphony that is played within your spirit; joy is the theme song of every person who trusts in the Lord and knows His love. Is is easy to think that joy can come from other things apart from God. We can anticipate the joys that a new house will bring us, or the delight that a car will be to us once we have it, but there is no lasting satisfaction in any material thing that we possess. This does not mean that these things cannot be a blessing to us when God provides them, but they can never replace the true joys that come to us from God alone. The joy that comes from God gives you strength. A joyless person is someone whose strength is depleted. Joy invigorates, motivates, and inspires. Joy is like energy that flows through you to lighten your load, renew your zeal, and quicken your steps of faith. Joy is the strength in your legs that helps you stand firm and steady in times of trial; the power in your arms that enables you to hold on to God's exceeding great and precious promises; the rejoicing in your voice that speaks forth the victory of the Lord over every area of your life. 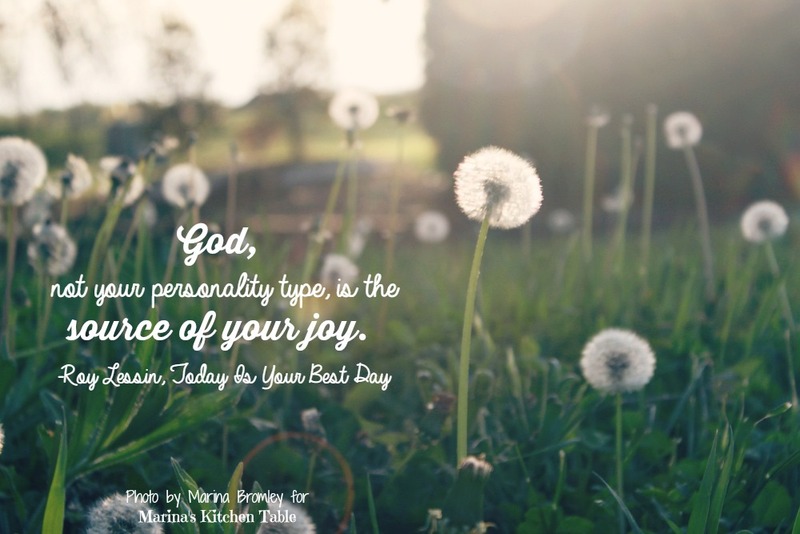 God not only wants you to have His joy reigning in your heart today, but He wants your joy to become great joy, and He wants great joy to become the fullness of joy. God wants you to be immersed in the delights of His joy today, soaking you through and through, so that every fiber of your being is filled with praises, rejoicing, and celebration of His goodness. We move into the highest levels of joy when we abide in the love of the Father, and through Him, reach out to love others. Today is your best day as you allow the Father to fill you with His love, and love others through you.